Fantasy Flight Games has released their Diskwars game. Go pick it up. The war horns blare. Your enemy approaches, and your soldiers roar for blood and battle. It’s time to lead your charge. 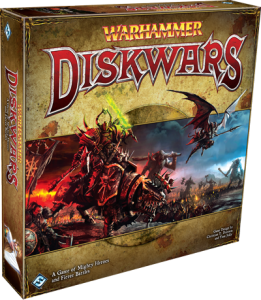 Warhammer: Diskwars is now available at your local retailer and online through our webstore!